It's like wearing a garland of flowers. 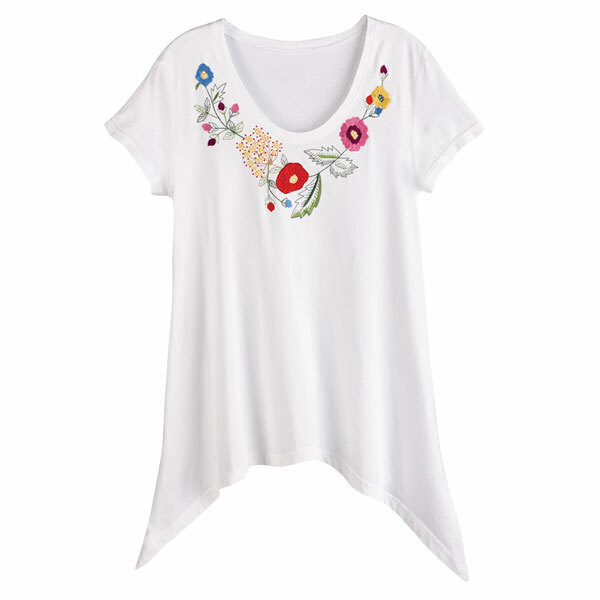 Contemporary tee has a deep scoop neck, colorful embroidery, today's shorter sleeves, and uneven hem. Sizes S(6-8), M(10-12), L(14-16), XL(18), 1X(18-20), 2X(20-22). Hangs 26", longer at the sides. Machine wash. Imported.